Following the success of IMBA's first two books, "Trail Solutions" and "Managing Mountain Biking,” Bob Allen teamed up with IMBA as managing editor for a new book titled "Bike Park Guide: IMBA's Guide to New School Trails.” Released in October 2014, the guidebook sets out to highlight alternatives to sometimes illegal, usually underfunded, and often volunteer-built and maintained bike park trails that were not surviving or thriving as an enduring community asset. Proposed as a nine-month project, the undertaking stretched out to 2 and a half years as the guidebook’s scope morphed and expanded. During this time Allen attempted to examine and identify the current best practices of bike parks. In the research phase of the project, Allen traveled extensively to look at current facilities and speak with those who built them. "In retrospect what stands out for me are not the well planned and funded parks, but the sad ones that have failed because there was no thought or commitment given to what happens when the initial enthusiasm fades after of the ribbon cutting ceremony." The negative attitude of community members toward 'failed' bike parks is only encouraged by parks that previously showed promise yet now lay overgrown and eroded. Allen and IMBA drafted a plan to shift away from the unsustainable models associated with many failed bike parks, intending to guide future projects on a more successful trajectory. "The greater bike community has traditionally sold itself short when asking for the resources to produce new riding assets. It's like – give us a piece of ground and let us prove what we can do with it." But volunteers don't build and maintain public swimming pools, soccer fields or skateboard complexes, and Allen considers it a misconception that bike parks should be viewed any differently. "Just because it is made from dirt, it shouldn't be cheap or somehow a lesser investment devoid of long-term planning and a commitment of resources for future maintenance and management." By providing a guidebook for planning, design, construction and management of a successful bike park, Allen means to create a paradigm-shift in public opinion of bike parks. 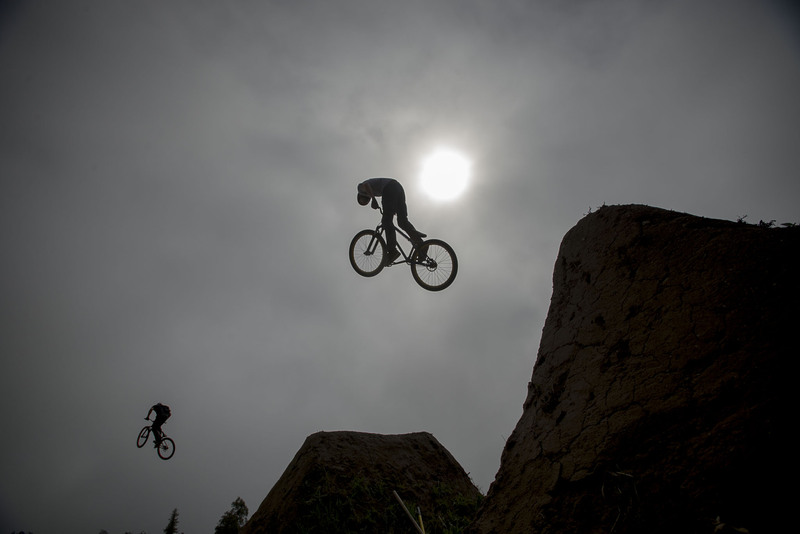 "While it might be possible to build the physical attributes of a bike park or bike specific trail system on a shoestring budget (or just passion) – the days of an Aptos Post Office jumps model where a progressive private landowner allowed and trusted the public, albeit very talented builders, to organically create a high-end jump park one bucket at a time are probably long since gone." A modern community bike park coming to fruition through a process of planning, funding and calculated budget projections- mirroring the more traditional recreational facility, like a ballpark, tennis court or swimming pool– is what Allen hopes for the future. The vast expanse of Valmont in Boulder, Colorado, and endless pumptracks in Queenstown, New Zealand, are featured highlights in the guidebook, but they too started from scratch. This scale of project needs a solid foundation from which to grow and expand, and Allen emphasizes the importance of investing in an assessment to document the current riding opportunities and then poll the bike community to see their vision. "Having this data becomes invaluable as momentum grows for a project. Being able to walk into a meeting and present 'this is what we have, this is what we envision for our community' is a great way to start gathering the support needed to move it forward." In addition to creating an assessment data tool, professional consultation from an individual or company that is knowledgeable and fluent in all things bike park can be money well spent. When it comes to vying for the use of public lands, it will serve bike advocates well to remember that the organized, savvy and cut-throat soccer moms will be competing for the best park locations and all of the available public funds. "If you are serious about a bike park in your community,” says Allen, “play the game to win." The guidebook delves further into the planning process and funding stages of bike park production with essays from the experts and step-by-step guidance on topics ranging from bike-specific elements such as dirt jumps and slopestyle courses to things like shady areas and restrooms. The guide also offers well-rounded and versatile options for possible projects. Importantly, the book addresses the construction of new elements in a symbiotic relationship with contractors and the environment. Tips, for example, on how soil compaction through layering and additives expands the lifespan of a track and prevents erosion are just the tip of the iceberg when it comes to the details included in the guide. Dovetailing nicely with IMBA's mission of advocating for new riding opportunities and inspiring people to put rubber to dirt in a manner that is as sustainable and environmentally responsible as possible, Allen intentionally filtered ecologically sustainable policies throughout the book. 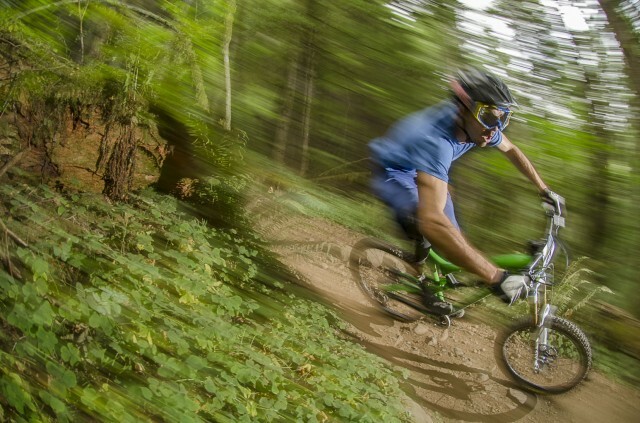 "While the initial impact of bike park specific construction might be higher than traditional singletrack, the longterm goal is to contain and mitigate these impacts for the life of the park or bike specific trail system." Providing trails for all levels, engaging families and youth in healthy outdoor activities and creating a hub for the cycling community is what bike parks are striving for. 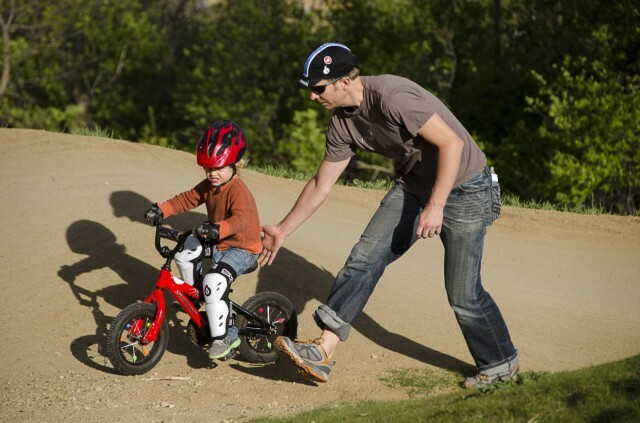 Starting ’em young at Boulder’s Valmont Park. Packed with full-color photos, bike park schematics, graphs, charts and much more, Allen and IMBA have created an essential new resource for bike park enthusiasts. Through essays and excerpts from expert contributors, this book guides the reader from day one to completion, covering planning, finance, design and management. Copies are available on IMBA's website for $30, a worthwhile investment for a successful bike park in your community.